Thank you to everyone who chose to be a part of our first Annual Volunteer-A-Thon! We had 12 hours to sort, sticker, and pack 12 quality books for the hundreds of thousands of children we serve annually for 12 years. Our volunteers enjoyed family, food, and fun over the 12 hours of volunteering. From the very first hour, we started out with a full volunteer shift! Over 100 people showed up for the first few shifts on Friday night and Saturday morning. We had so much fun stickering, leveling, and bagging books. We hope you had fun too! We would like to acknowledge 12 special participants who volunteered for all 12 hours of the Bernie’s Book Bank first Annual Volunteer-a-thon (shown in the above photo). We are blown away by your tenacity and generosity. Within the first hour, we had already filled up our first big box of book donations! Thanks to you, our wonderful and generous volunteers, we will be able to process these books and deliver them to at-risk children in the Chicagoland area. 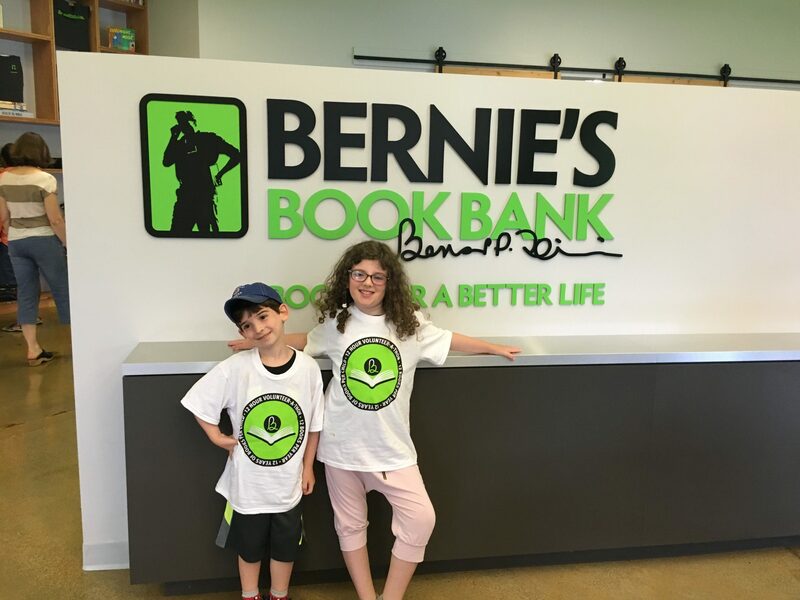 We hosted more than 400 volunteers participated over the 12 hours – thank you to everyone for your time, enthusiasm, and genuine passion for the at-risk children Bernie’s Book Bank serves!